Anime merchandise is all around us, from books to posters to figurines. When we purchase these items, we don't really think too hard about the meaning behind them. We don't think about all the work and time that has been put into creating such an object. In fact, could an object be more than an object? 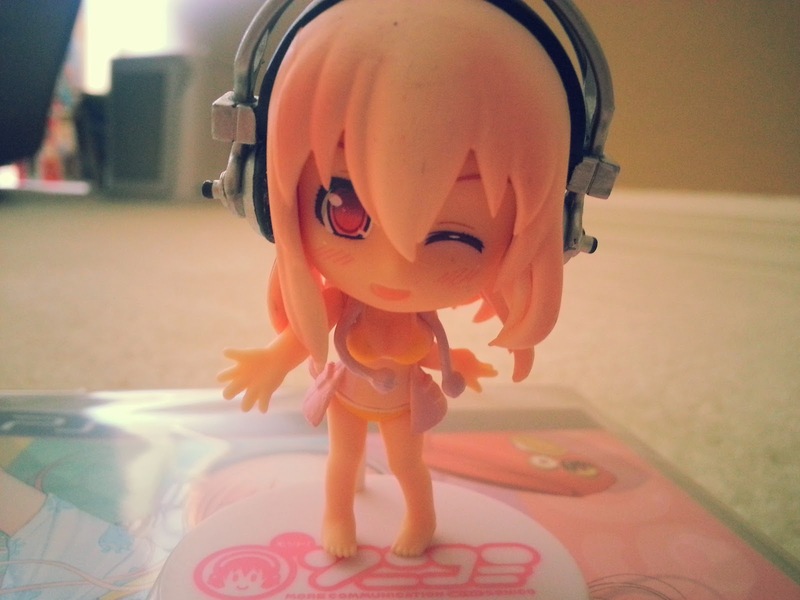 Is there really something more to an anime figure, than being just an item? Maybe even a little magic? While many people may say that collecting anime merchandise and having large amounts of figurines is somewhat falling prey to material desires, I kind of see things in a different light. I don't think there is any such object that we own or possess that has no memories associated with it. 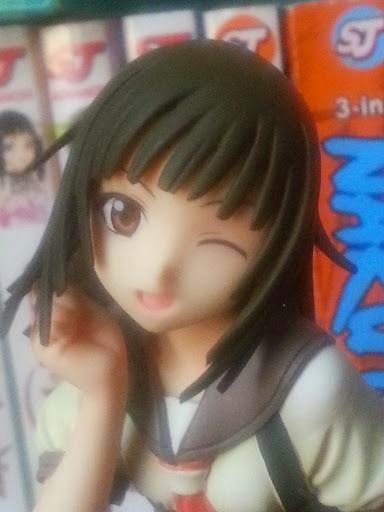 When it comes to figurines specifically, we have memories of the character or anime. 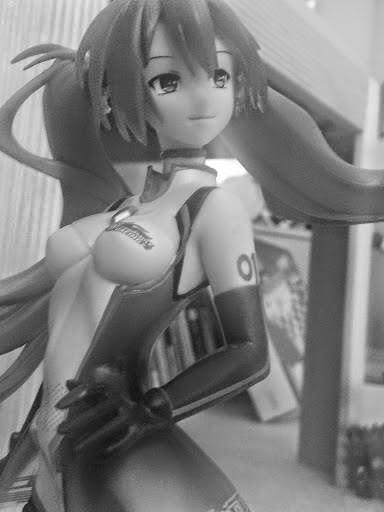 We can reminiscence of the time we bought the figure and the events that had occurred. We might even have flashbacks of our first meeting of the character and how they relate to ourselves. We can go as far to say that an anime figurine is a symbol, somewhat like a nation's flag or seal, only on a smaller scale. Similarly to how a flag can mean different things depending on the way one views it, the same goes for a figurine. This actually came to my mind the other day, when I was viewing the figurines I have on my desk. Looking upon each one, different memories and emotions came over me. I remembered happy things, sad things, even a few exciting things. As I looked over each one, frozen in time in their respective poses, I realized how important these characters are to me. They're not simply mere objects. For this reason, I have trouble with the thought of giving away my figurines, or selling them. I would love to share anime merchandise with those who truly have a love for it, but there are those I can't imagine parting with. Somewhat like hanging onto an old toy or knick-knack from one's childhood; if I were to give these away, I would be giving away my memories. It's the same reason that makes me cringe when I see figurines locked in glass cages. Still, this isn't to say I wouldn't ever part with them. I think that sometimes it's good to let go of some things, in order to leave something for a new generation or someone who is more deserving. So to some this might sound a little bit like gibberish, but to others you may understand and have the exact same feelings about a collection. Collectors are not always emotionless, greedy, or materialistic. Who knows why they collect their merchandise? Some people are happy with a vast majority of characters, and others just want to focus on a single one. For me, I just like to have merchandise of my favorite characters. With that being said, I want to challenge you all to think about the figurines you have. (If you don't have any, think about any merchandise you have or something important to you.) How do you feel about them? Would you give them away and why? Do you have any memories that are associated with them? If you feel comfortable, I would also love to see any collections of figurines you all have! So please share them if you have the time! Let's spread the magic of anime figurines! I collect mostly nendoroids hahaha~ http://myfigurecollection.net/profile/mahoushoujo That's my small but growing collection! Really? I actually have a lot of love for nendoroids as well, but for some reason I don't own a lot of them. Your collection is very nice, I'm envious, especially of your Snow Miku. I love her design so much! Check out mine too at http://myfigurecollection.net/profile/RekkaReka. It's small as well, but growing like yours! Also thank you for reminding me to add that link to my blog! I see, lucky you xD Haha, I know that feeling. Really? I will definitely check out your blog. Thanks for letting me know!